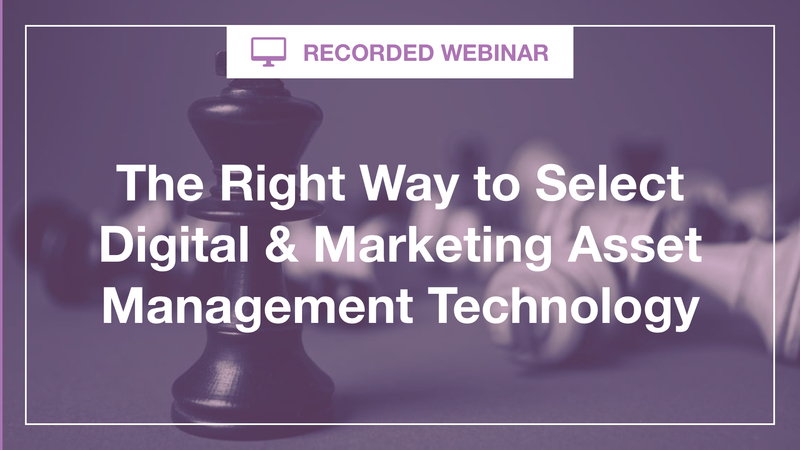 In the market for a digital & marketing asset management system? Thinking about divorcing your current vendor? Looking for a better way to manage your brand assets, and wondering if there's a site that uses the perfect algorithm, matching your needs with the best possible solution? This session is for you. Rather than selecting a new technology based on a ratings spreadsheet or with whom your boss plays golf, we'll look at a better path toward selecting DAM technology. You'll learn about the most important criteria when creating a shortlist, what should really be in that (brief) RFP, and how to plan a vendor demo that's meaningful and useful to you. Led by Real Story Group Principal Analyst Theresa Regli, this webinar deals the straight dope on pitfalls to avoid and reliable paths to follow.